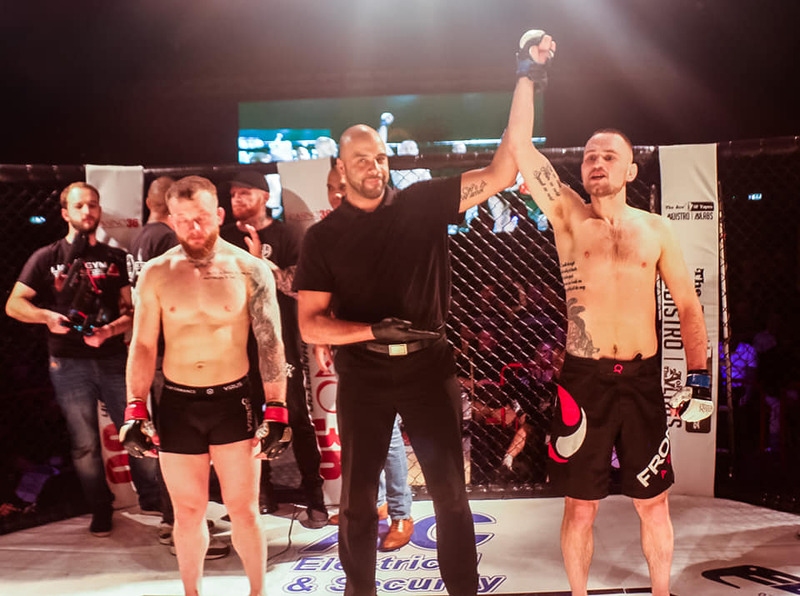 Ole-Jørgen “OJ” Johnsen (1-0) started his pro career with a bang, winning his pro debut at Golden Ticket Fight Promotions: Fight Night 11 in just 17 seconds. The Frontline Academy fighter stopped James Dixon (0-1) with punches. 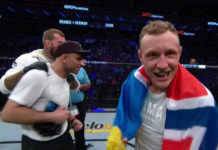 “The plan was to punish him whenever i SAW an opening” comments the lightweight to MMA Viking after the win. It was the pro debut for both fighters after impressive amateur careers. The Englishman out of Lions gym had a 6 win and 0 loss amateur career, and the Norwegian had a 4-1 amateur record. It was a straight right hand that rocked the Dixon first. OJ followed up with some good left hooks then a barrage of punches before the referee jumped in to stop the fight in Wolverhampton, England.